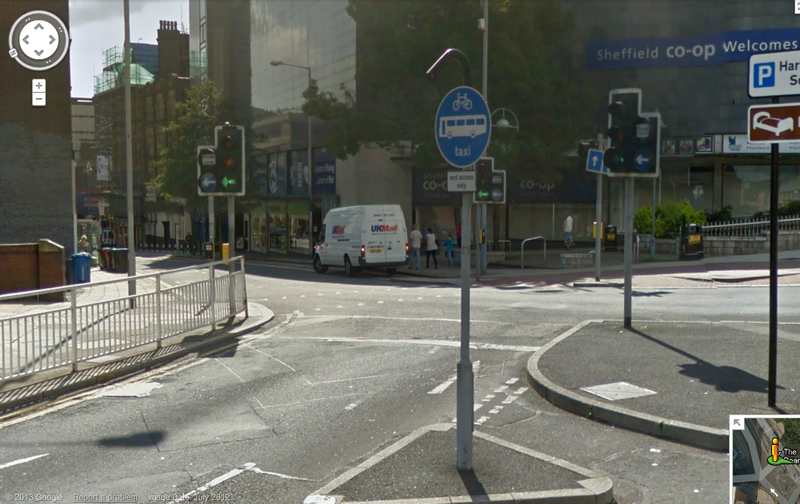 A while ago I took a look at Google and Bing’s Street View services to see if they’d caught any vehicles parked illegally on Castle Street contraflow lane – they had! Well… Google Street-view has been updated and the situation is no better! No taxi this time but a UK Mail delivery van! This entry was posted in Castle Street on March 8, 2013 by Matt.